Two Arizona State University engineers will have important roles in major new research projects aimed at producing technological advances considered critical to enhancing the nation’s military defense systems. 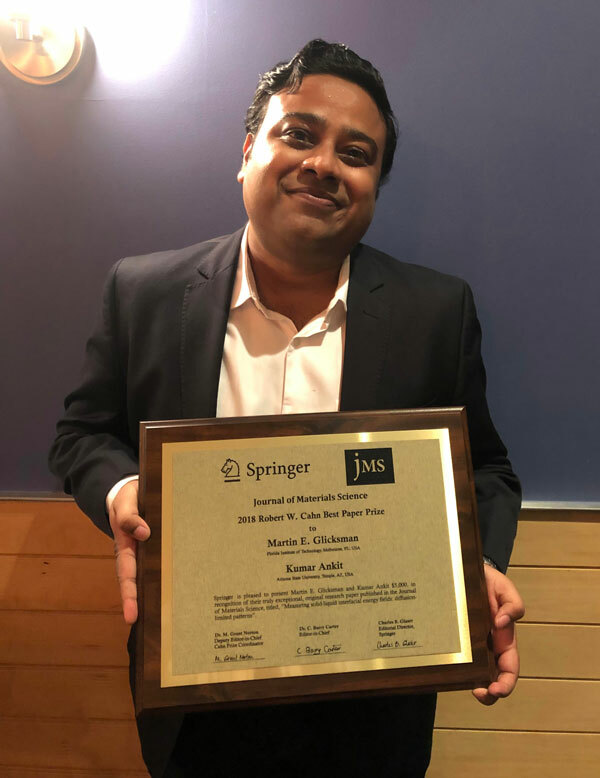 Nikhilesh Chawla and Nongjian Tao are members of separate research teams that recently earned grants from the Air Force Office of Scientific Research through the U.S. Department of Defense Multi-University Research Initiative (MURI). Materials science and engineering professor Nikhilesh Chawla. 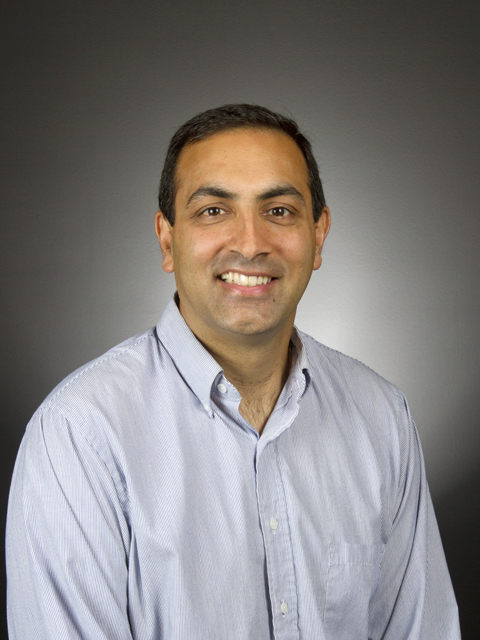 Chawla is the Fulton Professor of Materials Science and Engineering in the School for Engineering of Matter, Transport and Energy, one of ASU’s Ira A. Fulton Schools of Engineering. 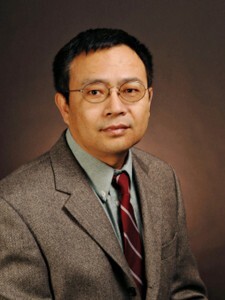 Tao is a professor in Fulton Engineering’s School of Electrical, Computing and Energy Engineering, and director of the Center for Bioelectronics and Biosensesors at ASU’s Biodesign Institute. Chawla will work on a project to develop advanced methods of predicting the onset of cracking and other damage to the primary materials used in the construction of military aircraft and sea craft are made. The team will also seek ways to improve the resiliency of the materials. Along with Chawla, the project joins mechanical engineers, mathematicians and theoreticians at the University of Texas at San Antonio, Pennsylvania State University, the University of Nebraska-Lincoln and the University of Arizona, which is the lead institution for the endeavor. The MURI grant provides $7.5 million for the five-year project. ASU is to be allotted $1 million. The project on which Tao will collaborate will seek to make advances in electrochemical microscopy, which is the foundation for many major technologies such as batteries, fuel cells, chemical analysis, chemical sensors and biological sensors, and corrosion prevention. Tao will work with colleagues from the University of Texas, Austin, the University of Washington, the University of Utah, Queens College-City University of New York and Northwestern University, the lead institution for the project. When final funding figures are approved, the MURI grant for the entire project could provide as much as $12.5 million over five years for the project. ASU may be allotted as much as $1 million. Competition for MURI grants is intensive, with multi-university teams of members from the science and engineering programs of leading research institutions typically vying for support. The Air Force Office of Scientific Research received 28 full MURI grant proposals for the program’s 2013 awards. Only seven teams’ proposals were selected for funding. Chawla’s role on his team will involve quantifying how and where fractures and other forms of materials degradation originate at the microstructural level. He’ll use advanced X-Ray tomography to get a microscopic view of the characteristics of materials behavior, a method designed to yield information on which to base mathematical predictions of when and where materials will incur damage under varying conditions. The focus will be on the kinds of metal alloys used for military vehicles and equipment, and other defense-systems hardware. The work will be done in Chawla’s 4-D Materials Science Laboratory, a facility operated under the umbrella of ASU’s Security and Defense Systems Initiative (SDSI). MURI grants are intended to provide opportunities for graduate students to participate in cutting-edge research. Chawla’s lab team will include material engineering doctoral students Tyler Stannard and James Mertens, along with assistant research scientist Jason Williams. Chawla has extensive experience doing materials research for defense systems. He has worked on projects funded by Department of Defense programs to develop advanced methods for protecting military ships and other craft from corrosion and other types of damage due to environmental and battlefield impacts. Tao’s part in his team’s project will focus on gaining a more comprehensive understanding of the fundamental aspects of electrochemical processes at the nanometer scale. He’ll work at developing a new form of microscopy – optical electrochemical microscopy, which converts an electrochemical signal into an optical signal – that will produce more precise imaging of what takes place during electron transfer, the fundamental trigger for electrochemical processes. The research is designed to reveal new knowledge of the spatial aspects of electron-transfer dynamics in real time on the nano-scale. Advanced understanding of those dynamics can help enable development of improved chemical analysis, sensor technology and electroplating processes (used to create metal coatings for corrosion-resistance), as well as more effective energy and fuel devices. Tao’s work for the project will be performed in his Center for Bioelectronics and Biosensors. Electrical engineering postdoctoral research associate Xiaonan Shan will assist Tao, along with two graduate students.